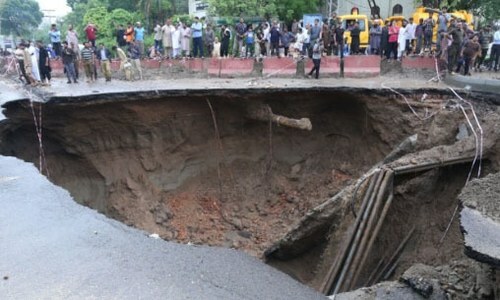 The death toll from two days of heavy monsoon rains in upper parts of the country has risen to 15, officials said on Wednesday. 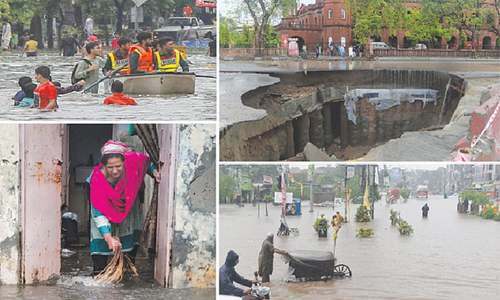 The Flood Forecasting Division in Lahore said the rain spell was likely to subside today (after 24 hours) in upper parts of the country and after 48 hours in south Punjab. Scattered winds and thunderstorms, with isolated heavy rainfall, are expected over upper catchments of all major rivers along Rawalpindi, Faisalabad, Gujranwala, Lahore, Sargodha, Sahiwal, Multan and Dera Ghazi Khan divisions over the next 24 hours. Before blaming goverment or agencies people have to see how much illegal enchorachment done by us . We throw so much garbage to clog all sewer system . Plus uncontrollable popluation who want all basic infrastructure but pay little or no tax. People are getting what they deserve. Shame on the previous governments for not doing anything about this mass flooding during monsoon season. 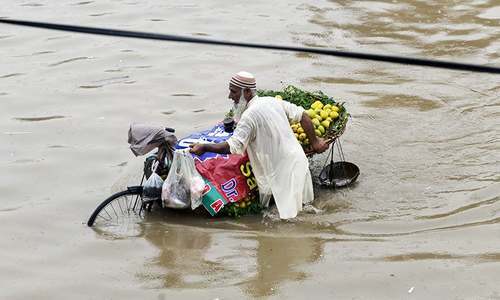 This is the legacy PML-N have left behind, no proper drainage systems to cope with heavy rains or emergency services to deal with such an issue. Instead Shabaz Shariff thought it fit to blame the care taker Gorvernment for this problem. 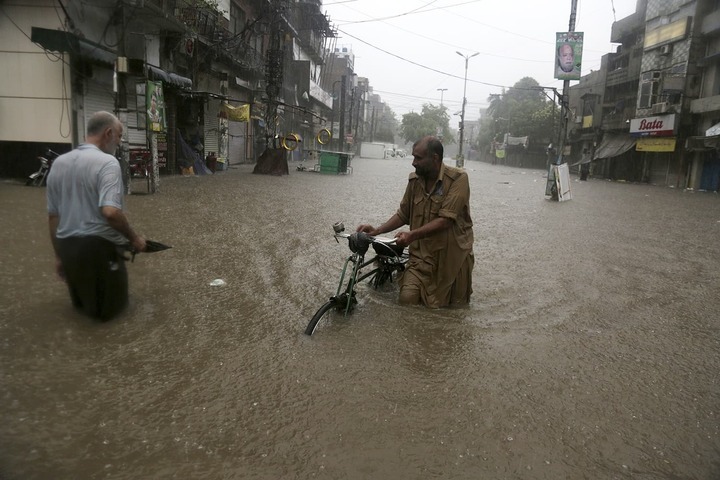 "Pakistan has long struggled to cope with the annual monsoon rains, which trigger flash floods and mudslides that destroy homes." ---You mean, Punjab? What does Shahbaz have to say ?